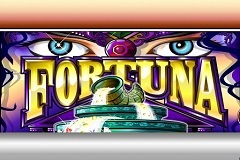 With a mysterious fortune teller staring out at players from below the reels, Fortuna is a 3-reel pokie that has 5 lines to play, and hopefully good fortune will come the way of anyone spinning them, as a jackpot of 6000 coins is waiting to be claimed for the right combinations of symbols. Developed by Microgaming, Fortuna sees the classic cherry, bar and 7 symbols, plus a valuable-looking gold coin logo that acts as a wild and will land players the biggest payouts of the lot. OK, so we’ve seen this sort of game before, and there’s nothing particularly new or innovative about it, but 3-reelers still draw in the crowds, and there’s no reason to think that this one won’t be a success as well. It’s a guess, but the character staring at you is probably called Fortuna, but she doesn’t appear in the game as part of any symbol, so all we get is a slightly creepy pair of eyes, while the rest of her face is hidden behind the title and an elaborate fountain that seems to be spouting jewel-filled water. What it all means is anyone’s guess, but it looks suitably mysterious and perhaps gives players the impression that this could be a lucky game. Above her are the 3 reels, with the first 3 of the 5 lines running horizontally across them, while the other 2 are the diagonals. The right side of the game shows how the gold coins pay when they line up across the lines, and below this is the payout table that details what rewards are heading to players when they get a winning combination of the other symbols. Of course any lines that are not in play and have winning combinations land on them won’t count, so it’s usually a good idea to have even just the minimum bet on all lines, and adjust up from there if wanted. The maximum bet is a healthy 100.00, so even fairly mid-to-high rollers should be satisfied with the range. The payout table lists the symbols, with the lowly cherry at the bottom, and a single example landing on a line being worth a prize equal to 1 coin, while 2 cherries will pay out 2 coins. Next up is the Any Bar, meaning that if any combination of the single, double or triple bars land on a line the player will earn a win of 4 coins, and then it’s back to the cherries for a 10-coin prize with a full row of them across a line. The single bar is worth 20 coins, doubles pay out 50 coins, and the most valuable is the triple bar icon that’s worth a nice round 100 coins should a line of them land. 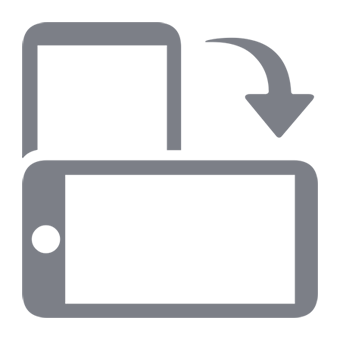 The top-paying regular symbol however, is the purple 7, which carries a substantial 300x prize, but the real star is the Fortuna gold coin emblem. Not only is it a wild, acting as any other symbol if it will complete a winning line, but it also has by far the highest values associated with it. The amount awarded with a full row of wilds depends on which line it stops across, with the first line in the middle of the reels paying out 1000 coins and the second, along the top, being worth 2000. If it lands across the third line, which is along the bottom of the reels, the reward will be 3000 coins, while the fourth line that goes from top left to bottom right is worth 4000 coins. Now you may be thinking that the fifth line from bottom left to top right would be worth 5000x, but here’s where there is an incentive to place a stake on all lines, as it’s actually worth the jackpot payout of 6000 coins. Again, it’s perhaps worth having something, even if it’s the minimum 0.25 on all lines to qualify for the jackpot, but of course it’s entirely up to the individual if they want to stake that much on a spin. The gameplay and payout structure behind Fortuna has been seen on other pokies from the same developer, so like all of these, it’s dependant on whether or not the visuals appeal. Anyone who like the whole clairvoyance and fortune-teller theme will get a lot out of this game, but if it leaves you cold, then there are others with exactly the same features that may appeal more.